You are looking for a simple, rural campsite. A place where peace is paramount. Where to go with a caravan, camper-van or tent. Where, despite the country not far from a big city is so fast all amenities and easily accessible. Then you have come to the right place. 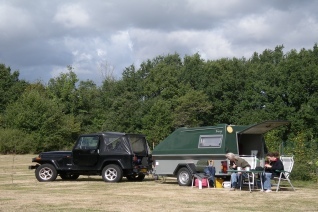 Just 6 k’s north of Thiviers (24), not far from the RN (Route National)21 you will find our simple, "low budget" camping.